Your one-stop shop ultimate guide to what goes in the green waste bin in Sydney! Clear up any confusion and myths with this article today! Although it is quite obvious that only organic waste from your garden should go into the green waste bin, we often go overboard and throw everything that we think is organic into our garden waste wheelie bin. However, there are some general rules that you should know when it comes to disposing garden waste in your green lid wheelie bin in New South Wales. Each NSW council varies in what they accept and can, therefore, create confusion between households. Generally, small garden waste such as grass trimmings, branches, weeds, plants should be disposed of by the green lid rubbish bin. Things such as food waste, treated timber and a large quantity of soil or sand should not be thrown in the green lid bin. This is because the garden waste from the wheelie bin is recovered and reprocessed into compost and mulch. If the batch is contaminated then it may end up in a landfill depending on your council, where it will rot and pollute the environment. What Goes In The Green Waste Bin? There are many benefits to properly disposing of your garden waste rather than leaving it to decompose in a landfill. The key difference between a compost and landfill decomposition is that methane is produced due to the solid waste being buried in a massive rubbish tip. Whereas a compost is exposed to oxygen and living organisms to produce carbon dioxide rather than methane. Methane is a harmful greenhouse gas that is particularly effective in trapping heat (roughly 30x more than carbon dioxide) in the atmosphere and cause global warming. Keep your green wheelie bin in the shade to reduce nasty odours. Layering your fruit and vegetable scraps with general green waste will help maximise your bin space. Use newspaper to wrap vegetable scraps. Be sure not to exceed the maximum weight limit for your weekly green lid bin collection. Each local council differs, be sure to check with your council. Hose out your wheelie bin after it has been emptied onto the lawn. Place your kitchen waste into compostable liners before placing them in the green lid bin. 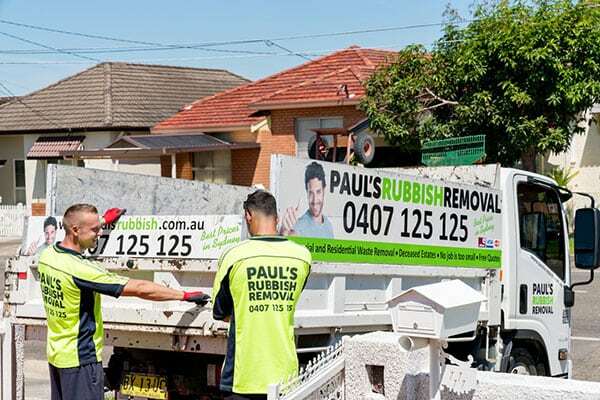 At Paul’s Rubbish Removal, we’re committed to helping you maintain your garden waste and providing you with a clean and tidy household in Sydney. You shouldn’t have to find yourself spreading your rubbish across three different wheelie bins, even if they aren’t in the right bin. Not only is this a bad thing but it contaminates recyclable waste and prevents them from being reused back in the cycle. Recycling your organic waste will prove to be environmentally-friendly and rewarding as a homeowner. Try creating your own compost at home and use it as a fertiliser for your plants and garden. It is rich in nutrients that are highly beneficial for your soil. If you ever find yourself with an overfilled garden waste bin, Paul’s Rubbish Removal can help you out at affordable prices! 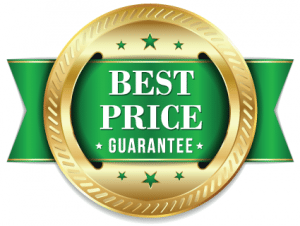 Simply call 0407 125 125 for a free quote over the phone. We are always here to speak to you and custom tailor our rubbish removal services to suit your needs! We do more than just garden waste removal!